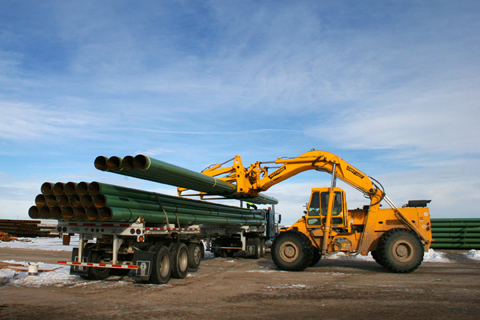 Adams Trucking specializes in large jobs with multiple loads, especially flatbed trucking. 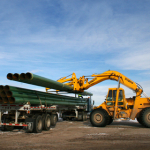 Whether it’s irrigation pivots, utility poles, lumber, OCTG pipe, transmission line pipe, steel coils, steel plates, frac sand, cement or other commodities that need hauled, Adams Trucking will ensure it is delivered safely and on budget. 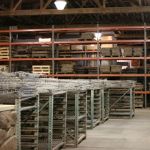 Whether you’re looking to store products short or long term, our facility has a large capacity of industrial indoor and outdoor warehouse storage space. 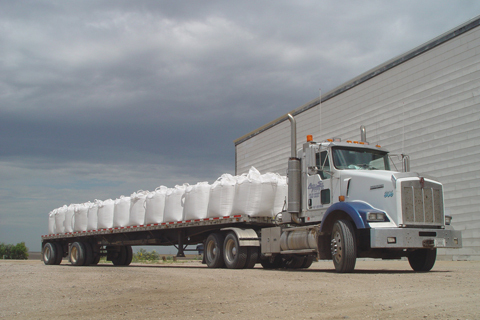 We combine our transportation, warehousing, truck brokerage and transloading services. 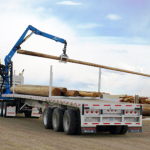 Adams Logistics works to provide our customers with the logistics services needed to get their freight moved in the most cost effective manner, with qualified motor carriers. 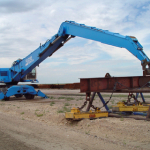 Adams has the capabilities and necessary equipment to transload product coming in by rail, onto a truck, and vice versa. 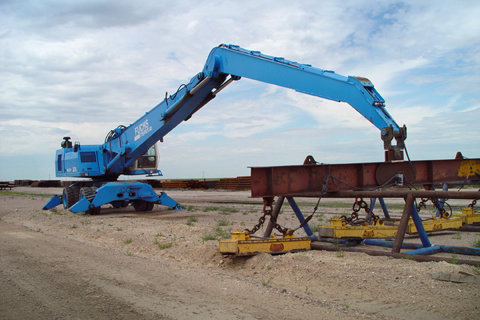 Adams Industries has the capabilities and necessary equipment to transload product from rail to truck or truck to rail. 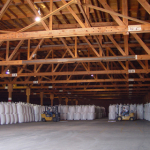 The Adams Industries industrial park is fully equipped with water, sewer, electricity and phone lines. 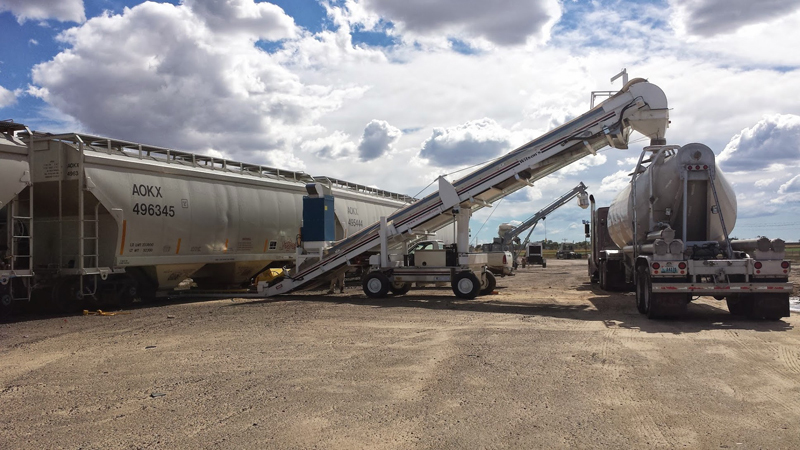 From truck and rail transportation solutions to transloading services and equipment maintenance, Adams will collaborate with current and future partners to help ensure their success. 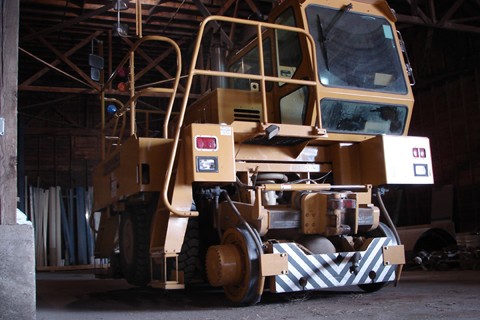 For quality maintenance services, you can trust the Adams Maintenance team to keep you on the road. Not only do we handle maintenance on an ‘as needed’ basis, we also work with you to create and implement a preventive care and maintenance program. 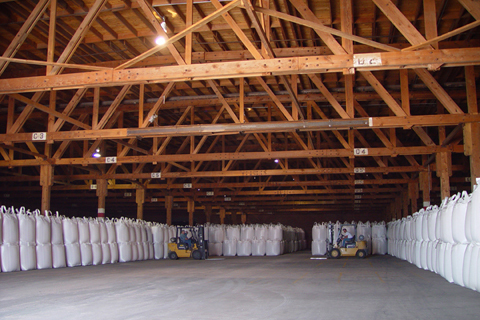 Adams Industries is a family oriented organization dedicated to the well-being of our employees and service to our customers and community. 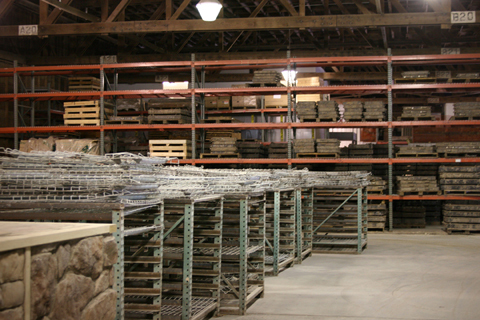 Our team designs and implements optimal supply chain solutions for the specific needs of our customers and commercial tenants. Investing in talented individuals and taking on new opportunities stimulates our innovative and entrepreneurial spirit. 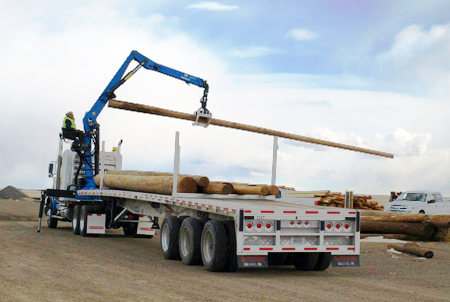 We value a culture of continuous improvement and supply chain excellence to achieve strong, sustainable, long-term growth for both Adams Industries and our customers. 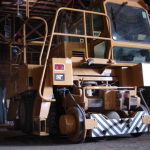 Adams Industries is privileged to work with some of the best companies and organizations both locally and nationally. 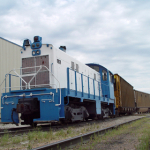 For more than 150 years, BNSF Railway has been delivering cars, coal, clothing, games, and nearly anything else found in homes and businesses. Today, their focus is on using speed, agility, and resourcefulness to help expand the global marketplace for goods and services. 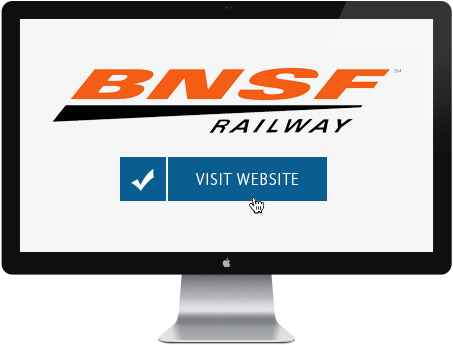 BNSF Railway plays a vital role for people around the world every day of the year. 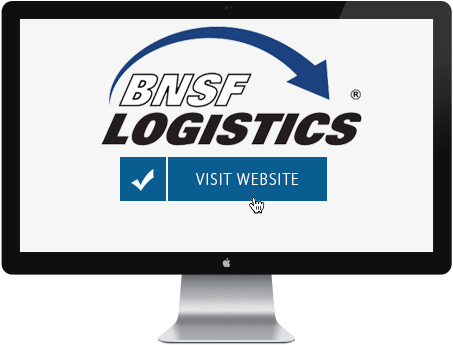 BNSF Logistics offers comprehensive supply chain outsourcing services, empowering clients to focus on core competencies, while enabling seasoned logistics professionals to concentrate on the value chain. 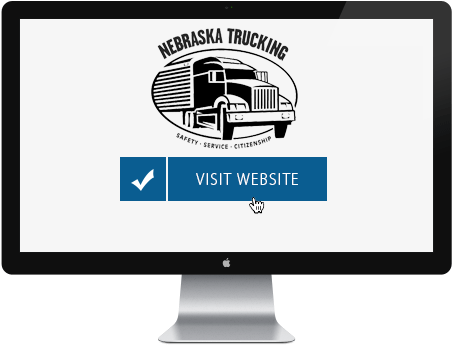 The Nebraska Trucking Association is the statewide trade association for commercial truck and bus operators, and affiliated businesses. They are a not-for-profit association governed by a board of directors elected annually. 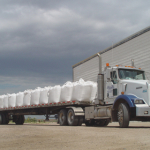 With over 800 member trucking companies and affiliated businesses, the association delivers the essential knowledge, contacts, services, political representation and partnerships that help members continue to deliver the goods to Nebraska communities and throughout North America. 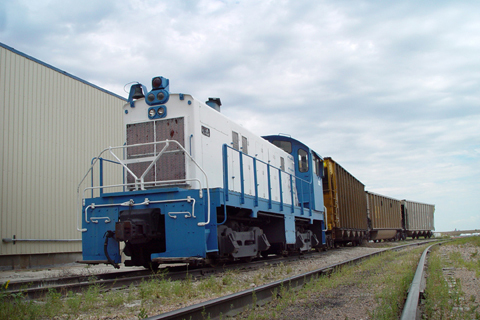 Union Pacific Corporation (NYSE:UNP) is one of America’s leading transportation companies. 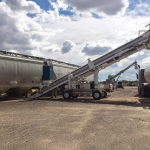 Its principal operating company, Union Pacific Railroad, is North America’s premier railroad franchise, covering 23 states across the western two-thirds of the United States.